Reports and images broadcast in international news media on the “the refugee crisis” and particularly the exodus of Syrian men, women, and children escaping their country’s civil war over the past several months have elicited memories of another large-scale flight when some forty years ago hundreds of thousands of Cambodian, Lao and Vietnamese people left their countries in the aftermath of the communist victories in 1975. 1 The parallels between the two exoduses are hard to miss, most obviously their horrendous journeys by sea to reach the shores of Europe or Asia. Every forced migration has its own dynamics, origins and effects; parallels can be drawn, but identical they are not. Yet, a two-fold narrative dominates both flights, featuring on the one hand helpless ‘Third World’ victims and (attempted) humanitarian rescue operations by ‘First World’ nations on the other. Speaking of Vietnamese refugees, Yen Le Espiritu has castigated earlier scholarly literature that cast “[them] as objects of rescue, portraying them as incapacitated by grief and therefore in need of care – a care that is purportedly best provided in and by the United States” (Espiritu 2006: 410). This narrative was doubtless influenced by the many press and TV reports on the ordeal of the “boat people” 2 and humanitarian issues in the refugee camps, which in turn have shaped the collective memory about the ‘Indochinese refugees’. In fact, discourses and images attached to the latter have been so enduring that calling them carriers of a “prosthetic memory” may not be misplaced. Alison Landsberg’s concept relates to a “new form of public cultural memory” that affects individuals that did not live through the events. These memories are not “the product of lived experience”, but as Landsberg expounds, are “derived from engagement with a mediated representation (seeing a film, visiting a museum, watching a television miniseries)” (Landsberg 2004: 20). The 2015 award-winning interactive graphic novel, adapted from the title short story in Nam Le’s anthology, The Boat, is an example of such technology of memory and mass culture. 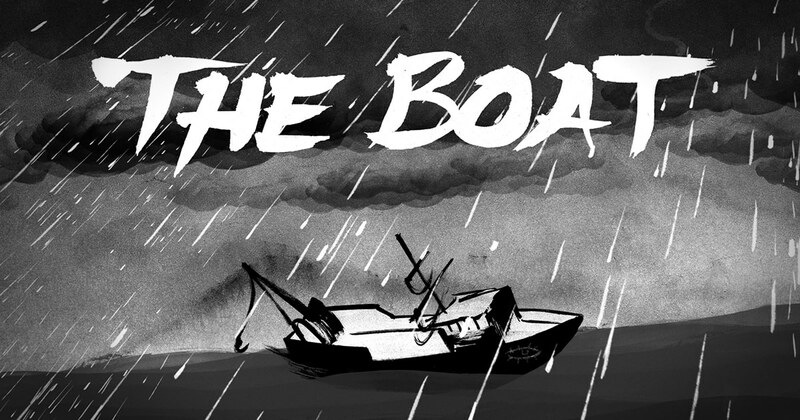 3 Exclusively produced for an online audience, it evocatively blends texts, images, sounds, and movements to tell the story of a young Vietnamese girl sent off by her parents on a refugee boat to Australia. The ‘desperate-and-rescued’ narrative has reified the image of Indochinese refugees as victims of war and violence. By virtue of their perceived position as displaced peoples and victims of history, refugees are assumed to be without agency as if the lives of exiles began the day they were rescued and entered the host society. Conversely, the times and circumstances of departure from their home country are rarely investigated in detail; yet, this defining moment of their lives resulted from their own initiative when they took the decision to leave under extraordinarily difficult circumstances. I interviewed in 2015 in the suburbs of Sydney Lao-Australian people who left Laos after 1975. 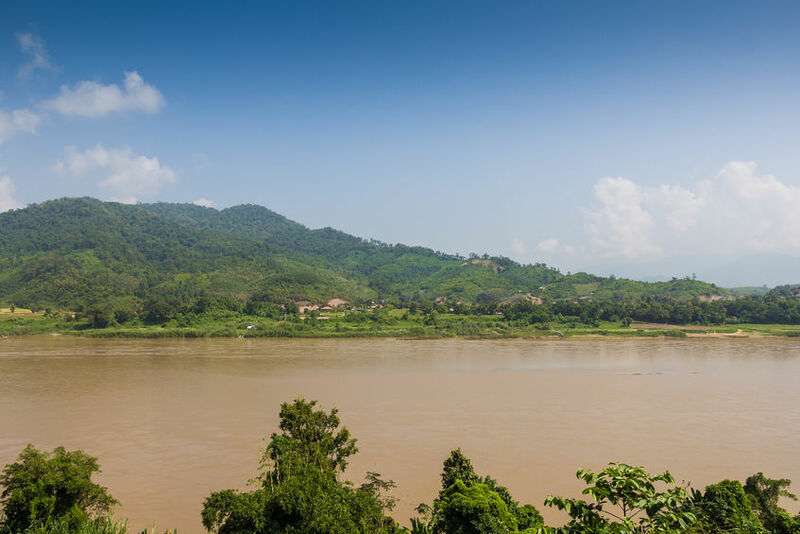 4 It is estimated that around 400,000 Lao individuals fled into exile to (mainly) France, Canada, the United States and Australia between 1975 and the late 1980s. The exodus of Lao citizens is less well known than that of Vietnamese and Cambodians. The likely reasons for this are because it neither matched the size of the former (some 1.75 million Vietnamese fled the country between 1975 and the mid-1990s) 5 nor featured the extreme trauma of Cambodian survivors. When describing the reasons for the flight of Lao refugees, reports repeat the standard explanations whereby “[s]ome Lao had fled due to fears of being incarcerated in re-education camps. Others had left because of the loss of political, economic and religious freedoms.” (UNHCR 2000: 99). While these factors and circumstances are broadly correct, these accounts tend to homogenize the profiles and experiences of the exiles as if they formed a uniform crowd driven by the same needs regardless of their age, gender, or ethnicity. For my interviews, I chose Lao-Australian individuals who were born between the early 1960s and the late 1970s, as I sought to investigate a group of people that lived through historic events – namely, the collapse of a political regime, the advent of a socialist rule and a mass exodus – at a similar phase of their life, i.e. between childhood and adulthood. Young Lao refugees were a significant, yet overlooked, group: approximately 40% of those who fled Laos after 1975 and transited through the camps in Thailand between 1975 and 1987 were aged between 13-29 years old (Chantavanich and Reynolds 1988: 25). Memories of the years following the communist victory portray a bleak picture of living conditions in Laos. As soon as it was founded, the new regime was fighting for its survival. It faced the immense task of rebuilding a country ravaged by U.S bombing. After 1975, most Western countries withdrew their support or reduced drastically their assistance. Neighboring Thailand imposed an embargo that strangled the economy. Further, a series of natural disasters (drought in 1976, floods in 1977 and 1978) dramatically hampered agricultural production. Everyday life became more constrained, restrictions on domestic travel were imposed and day-to-day surveillance intensified. Somchit and Vilayvanh 6 were in their late teens at the time. Both lived in Vientiane. Somchit had left school a few years earlier and worked as a driver; Vilayvanh was an undergraduate student. 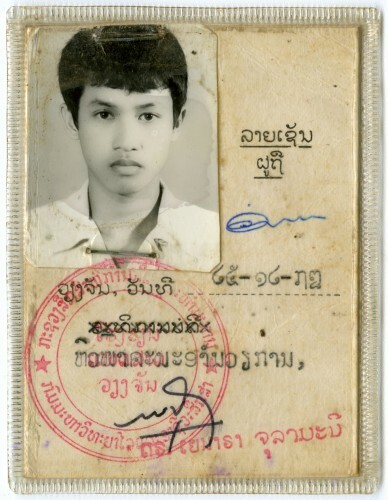 Somchit, who grew up in a village near the capital Vientiane, was 19 years old in 1975. He had recently married and moved with his wife to a house provided by his employer in the suburbs of Vientiane. On the edge of adult life, Somchit saw the world unravelling around him; he remembered that “things became unstable (voun)” and “chaotic” (voun vai). In the same period his wife gave birth to two stillborn babies. “My life hit a dead end” (bor mi sivit lort). He left in 1978 and swam across the Mekong to Thailand; his wife had chosen to stay with her parents. Vilayvanh, who grew up in a village in the southern province of Champassak, was in her second year of law school in Vientiane in 1974 when, using the same word as Somchit, “the situation became chaotic (voun vai)”. She could not complete her degree and switched to study medicine after 1975. She did not leave until 1990. The accounts of Somchit and Vilayvanh conveyed the same sense of overwhelming anxiety relating to their memories of those years they both described as “chaotic” and “uncertain”. Their narratives are shaped within a particular historical moment mediated by personal experience and the experiences of those around them – family and peers. Somchit and Vilayvanh belong to a generation-as-cohort defined by shared subjective experience of historical events. This is what Karl Mannheim termed as “generation as actuality,” the way in which the collective experience of “historical problems” in a specific biographical phase is connected by interpretation and self-reflection (Mannheim 1952: 303). Thomas Burgess’ definition of youth in times of social change is also useful, as it emphasizes the importance of rupture from stable “traditional” societies. In his words, “[w]here discontinuity was more decisive (…) youth emerged less as a phase in the life cycle but as an historical cohort” defined by “unique historical circumstances and narratives that set their generation apart from others before or after, and that allowed a greater degree of negotiation, flux, and invention” (Burgess 2005: x). In other words, youth in times of disruption (e.g. war, natural catastrophe, or social crisis) becomes a more autonomous category. As young people that lived through drastic processes of social and political change Somchit and Vilayvanh reacted to the circumstances in their own different ways. On the brink of entering adulthood, Somchit’s life was crushed by tragic personal events and trapped in a forbidding political and socio-economic environment. The absence of possibilities for a worthy life underpinned his decision to migrate. Somchit’s circumstances forced him to abandon everything. 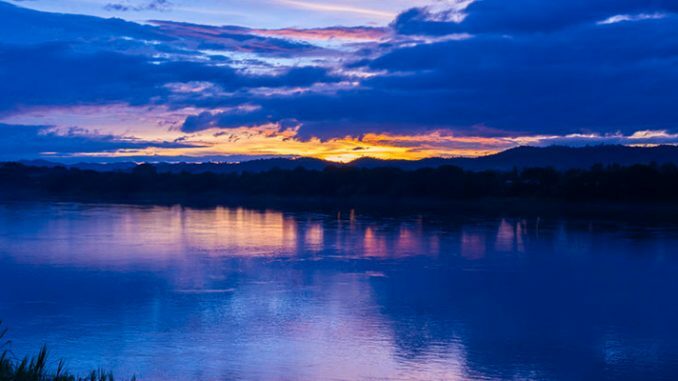 As he swam across the Mekong, he “took only his body with [him]” (aw tae tua pay). Amazingly, he swam back a few days later in the hope of convincing his wife to come with him. She again refused. In the refugee camp in northeastern Thailand, he married for pragmatic reasons a Lao woman whose husband had stayed in Laos. They were resettled as a married couple to Australia a year later. Somchit turned his flight into a chance to start anew. Vilayvanh, conversely, did not depart in the late 1970s, although she could have left with her close friends and classmates, most of whom fled. As the eldest daughter and child she felt obligated to her parents who, with her other siblings, remained in the country after 1975. Her “parents had hopes (mi khwam vang)” for her. Staying was Vilayvanh’s way to fulfil and to demonstrate her filial duty to her family with whom she “had very strong ties”. Roy Huijsmans (et al) remark that “youth as a life phase and young people as a generation are often associated with ‘change’ (…) yet it is equally important for understanding social continuity.” (Huijsmans 2004: 6). 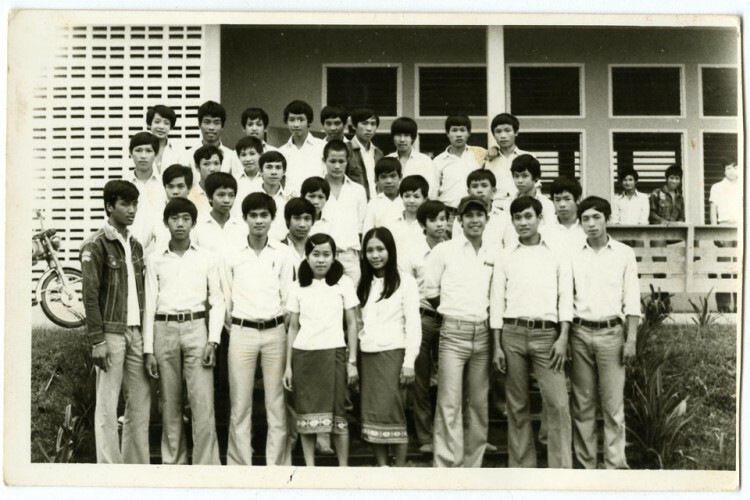 Vilayvanh completed her medical degree in 1980 and worked at a hospital in Vientiane for several years. Somchit and Vilayvanh negotiated the aftermath of ‘1975’ differently; to put it simply, he moved and she stayed on. Migration, however forced, enabled Somchit to overcome his predicament as a young adult who had not fulfilled the expectations associated with the role of husband and father in Laos; Stephen Lubkemann argues that “displacement more often than not produces an ambiguous mix of both loss and empowerment in many different senses (economic, social, political).” (Lubkemann 2008: 467). Yet, we should also recognize the choice not to migrate as a decision equally deserving of attention and analysis. Vilayvanh believed that immobility was her way to fulfil her duty to her parents and siblings, thus effectively becoming an adult in the process. She later suffered from “premature social ageing” (Hage 2003: 18); her “life went nowhere” (sivit bor pay bor ma) in the 1980s. She could no longer face her slow social death in the capital crippled by deprivations and restrictions. For individuals to remain socially alive, they need to be able to imagine a meaningful future for themselves – however miserable their present-day situation is. Vilayvanh eventually decided to leave in 1990 by marrying an overseas Lao man whose family was acquainted with hers. Her parents acquiesced in her decision: their daughter was then 35 years old and single, physically ageing and on the verge of social obsolescence in a conservative society; that marriage in their view was probably her last chance to have a family of her own. Somchit and Vilayvanh’s memories forty years later still reveal sentiments of loss, confusion, and anxiety in recounting how the world as they knew it disappeared forever. In this sense, they are victims of history. It does not make them lesser social actors and makers of life-choices, though; in the last days of their youth they made two startling contrasting choices, both of which embodied the immense challenge of growing up in times of disruption and uncertainty.